These brake levers have been on my bike for around three years but have seen virtually no use in that time. 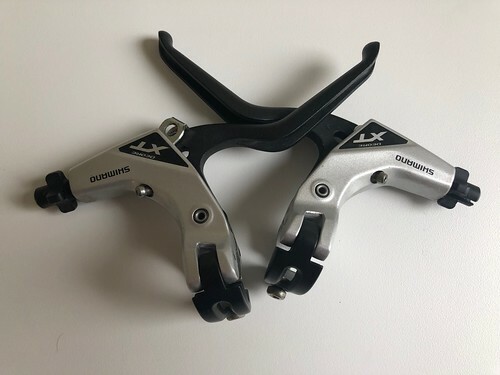 I've now replaced the straight bars on my Turing bike for curvy moustache bars and reverted to more appropriate drop bar levers, so these XT levers are surplus to requirements. The levers are in great condition save for a superficial scratch on on the underside of the left lever (which you really can't see when they are on the bike). They retail for around £45 plus postage. I'm offering them for sale at just £35 with FREE postage and packing.